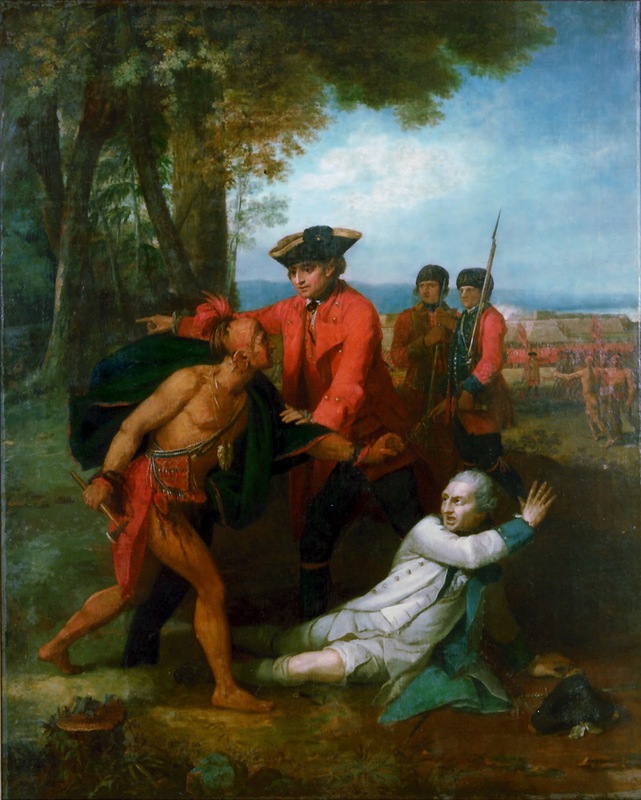 The French & Indian War was a significant event in pre-Revolutionary America, and some of its events were chronicled by Benjamin West. West painted one painting entitled “General Johnson saving a wounded French officer from the tomahawk of a North American Indian.” The General Johnson in question is Sir William Johnson, Superintendent of Indian Affairs. Johnson was a good friend of the Iroquois and recruited them to help the British during the French & Indian War. The title of the painting gives little detail as to when this event happened but with the aid of history, we can put it in its proper setting. Johnson only fought in two battles: Lake George (1755) and the Siege of Fort Niagara (1759). But which battle does it depict? 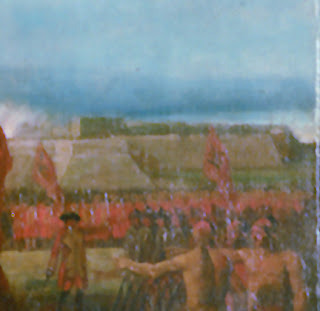 The painting is traditionally set during the Battle of Lake George, with the French officer being identified as the defeated French commander Baron Dieskau (1), who was wounded, captured, and nearly killed by the Mohawks, a part of the Iroquois Confederacy(2). But there are several clues within the painting that disprove this theory. First is the uniform of the French officer. Baron Dieskau was a marechal-de-camp (3), and their uniform was decreed by Louis XV in 1755. 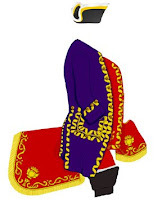 The picture shows how a marechal-de-camp’s uniform would appear (4). This is clearly nothing like the uniform portrayed in West’s painting, which is white with green cuffs and lapels. The uniform does match the French regiment Volontaires-Etrangers, and a detachment of them were sent to reinforce the Canadian Compagnies Franches de la Marine. But the final clue that this painting is set during the Siege of Fort Niagara is that a fort is depicted in the background of the painting (behind the soldier of the 60th Royal Americans). 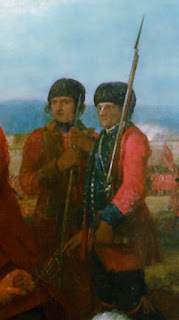 There was no fort during the Battle of Lake George (8), so this painting must be set during the Siege of Fort Niagara. (5) At http://kronoskaf.com/syw/index.php?title=British_Army, uniform information for the provincial troops of all 13 colonies can be found. None have red coats with blue cuffs for a uniform.